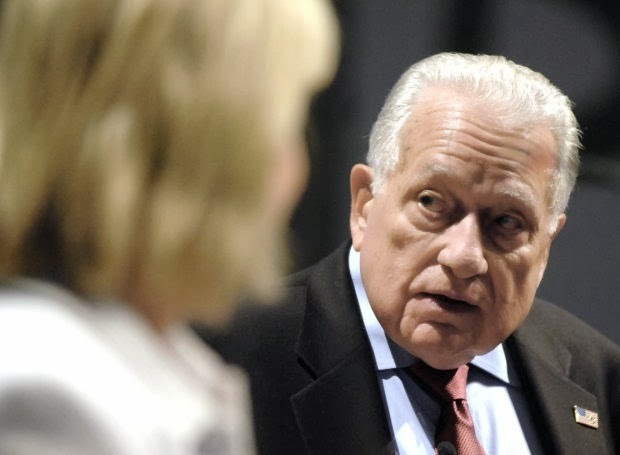 Clint Hill, retired Secret Service agent for Jacqueline Kennedy, tells his experiences on the first lady's security detail during the second day of "The Kennedy Legacy: 50 Years Later" symposium at Bismarck State College. Former Secret Service Agent Clint Hill said he first felt let down when he was assigned to protect Jacqueline Kennedy instead of President John F. Kennedy. He had been assigned to President Dwight Eisenhower’s detail before. It would mean accompanying the first lady for dull card games, droll tea parties, fashion shows and shopping trips, or so he thought. He was in for a surprise about where the athletic and adventurous woman would take him — to the Virginia countryside for horseback riding, Paris, India, Pakistan and Greece. Hill, a North Dakota native, and journalist Lisa McCubbin, penned “Mrs. Kennedy and Me,” which details his time with the first family through November 1963. He provided colorful and poignant answers Wednesday at “The Kennedy Legacy: 50 Years Later” symposium. The event runs through this afternoon at Bismarck State College’s National Energy Center of Excellence. Jacqueline Kennedy also was not thrilled about having security, according to Hill. “She didn’t want me there because she didn’t want somebody looking over her shoulder,” he said. They both got along very well after their first meeting. Hill was called to be at the first lady’s side when she went into labor with son John F. Kennedy Jr., two weeks after they met, and later after she lost her baby, Patrick. McCubbin quizzed Hill about the book’s content Wednesday. Hill’s memories are both humorous and sad. Mrs. Kennedy’s charm and knowledge of French history convinced French leaders to loan the United States the Mona Lisa painting. Hill tried to stay out of pictures, but he is found in a few film clips and outings with the family. Photos include Hill with a perplexed expression as the first lady is presented a new horse in Pakistan. Hill said Mrs. Kennedy was ecstatic. Hill, shown in a picture standing next to Mrs. Kennedy, was not. He had to get the animal back to the states. Another picture shows Hill accompanying the president and his wife on a 50-mile hike. Hill only had dress shoes to wear before he was called to the long walk. The first couple rewarded him for the last-minute assignment with a handmade paper “medallion.” Hill keeps it to this day. He showed videos of him shuttling the children to the shore and back to the boat at Hyannis Port. He said when baby Patrick died, he and the other agents felt the loss like he was their own child. Jacqueline Kennedy confided to Hill that she planned to help her husband with the 1964 presidential election because she had been unable to do so when she was carrying baby John. It was shortly before the Kennedy assassination. Hill was the Secret Service agent who climbed up on the limousine in Dallas on Nov. 22, 1963, after the president was shot. He said he was trying to protect both President and Mrs. Kennedy. He said President Kennedy was a man who wanted to help people.